A new CIBC poll of over 3,000 Canadian adults highlights the financial perils that come with a lack of retirement planning. More than a quarter (27%) of retired Canadians who participated in the survey said they regretted their decision to leave the labour market, and an almost equal proportion (23%) have tried to go back. And while around 59% choose to return to work for the intellectual stimulation, 50% cited financial concerns. The poll also found that half of all Canadians would rather stay in the workforce past 65 than retire with a lower standard of living; what’s more, 74% worry about having enough income in retirement. More than three quarters (78%) believe that working reduced hours in a “semi-retirement” arrangement provides the “best of both worlds.” In fact, while Canadians on average expect to retire at age 58, they also expect to keep working in some capacity until age 62. The move out of the workforce cannot be taken lightly, especially since only 32% of retirees who tried to re-enter the labour market were able to do so with a similar pay and level. The rest accepted either a lower level or less pay (38%) or gave up trying (30%). Not all Canadians are caught off-guard in retirement. Around one in five (18%) of Canadians said they had no money concerns because their “retirement plan is all set.” And just over half (51%) of working Canadians aged 55 to 64 secretly wish they would get an offer to leave with a severance package from their employer. Aside from having a pre-retirement plan, Golombek emphasized that Canadians need to use strategies to minimize their taxes in retirement so they can stretch their retirement dollars. Sadly, however, 89% of Canadians — including those who are already out of the labour force — do not fully know how their retirement income is taxed. 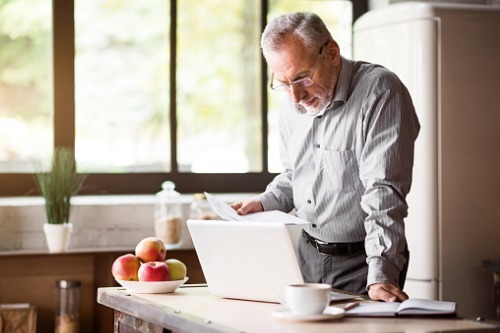 A new CIBC report by Golombek titled Retiring Right: Understanding the Taxation of Retirement Income, which comes with an accompanying video, outlines strategies to help retirees reduce their taxes and help preserve government benefits.